The amount of agida being given to the Current Expected Credit Loss (CECL) standard mandated by the Financial Accounting Standards Board (FASB) reminds me of Chicken Little's claim that the sky is falling. It hammers home my belief that bankers dedicate significant resources, swerving to and fro, conforming to the myriads of standards, regulations, and exam practices that have little to do with their safety and soundness. 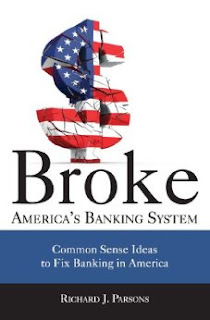 Rick Parsons, author of Broke: America's Banking System and Investing in Banks: Strategies and Statistics for Bankers, Directors, and Investors, drove this point home in Broke, stating regulators, directors, and bankers should major in the majors. Namely, focus on those risks that cause banks to fail. Rick recently spoke about CECL and other current banking topics on my firm's June podcast. I should note that Rick is in favor of CECL, because it would improve loan risk-based pricing and elevate reserve levels. Point taken. When a bank tech vendor asked me about building a CECL platform, I said if it raised the reserve for commercial banks to 1.2% of loans, then bankers would buy it! That's the ALLL levels bankers defaulted to before all of this complexity surrounding loan loss reserve calculations, and now CECL. Rick was spot on in his major in the majors commentary. We have diluted examiner resources to the point of ineffectiveness. Instead of focusing on what causes banks to fail, namely operational processes that lead to excessive risk taking, especially credit risk, they focus on everything. Meaning they focus on very little. Instead of examiners majoring in the majors, bankers spend countless hours responding to regulatory concerns over their search criteria within their Bank Secrecy Act (BSA) programs, and how many errors the bank had in SAR reporting. For the uninitiated reader, BSA was Congress' means to use banks to police their customers to ensure they weren't laundering money or funding terrorists. To my knowledge, there has never been a BSA violation that caused a single bank to fail. But bankers sure spend a lot of time on it. And HMDA reporting? Don't get me started. One major law that Rick pointed out that has been a total failure was the social engineering pie'ce de resistance, the Community Reinvestment Act (CRA). To ensure banks lent money into communities where they took deposits, banks are required to report, and regulators are required to grade banks' efforts on this ridiculous law that did nothing to help the plight of inner city residents. But ample resources are dedicated to it. And banks must at least achieve a "Satisfactory" to be approved for many things, such as mergers. And there is no lawmaker that will propose its demise even though it has been a "Fail" at achieving their social engineering goals. The press might report the lawmaker is "against inner city residents". Stupid. No bank failed due to having a poor CRA record. And how many communities were adversely impacted by a bank's "needs improvement" CRA rating? These are the rabbit holes examiners jump into, and require bankers to dedicate human and financial resources to comply and improve them. CECL is another ridiculous concept foisted on banks by the FASB that, although at least focused on credit risk but in the name of financial transparency, will do little to nothing to make a bank safer and sounder against failure, in my opinion. Yet here we are. Diluting banker resources further. Have we lost our minds?